Again a little update from my side of what have happened in July month and what will happen in August. I stayed for 1½ week in the Netherlands and had loads of fun, thanks to my good mates Menno, Mark Otten, And Robin. A week, accompanied by some friends from Norway in a summerhouse here in Denmark, passed by. And it was time to leave of to the Eastern part of Europe. I had a gig the 23th in Prague at Club Radost FX, which was just amazing, the crowd was rocking and I really enjoyed the evening. Of to Bratislava next day, where I had a gig in the evening. Spending the whole day at Tomas Haverlik’s studio, and having a really great time with him. Went to the venue in the evening around 22 and again had a fantastic night and my set went just great. Meeting some really cool party people once again. A relaxing week was followed, with some fooling around in Cubase SX and chilling with my friends. I spend some quality time with Shane54, Super8, Miika Kuisma, and my manager Ozzi at a little cabin for a day relaxing after all the partying Friday and Saturday. Yet again a really really good weekend, and the amount of compliments caused by my set was overwhelming. I didn’t have to many of the regular shows this month because of all my travelling. 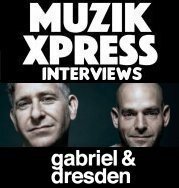 But I started this month out with being featured for the 2nd time on Markus Schulz Globaldjbroadcast in the lineup with Gabriel & Dresden and Tonedepth. It seems like loads of people enjoyed my set, and I had a storm of emails with nice comments and questions of were to download the mix. To finish of the guestmixes, I will be on air at the popular German radio Njoy, at Blank & Jones regular radioshow. This will happen the 21th August, and will be aired also thru the net at DI.fm the 23th. Can hope this will give some good exposure in the German country. The 18th I will be leaving of to Canada doing my little tour, I will be playing in Vancouver, Kelowna, and Vancouver Island in that period from the 18th and 1½ week forward. I am really looking forward to this, and will make sure that all the part people in Canada are going to move their buts. So the upcoming time looks really good. I hope to get the producing going more and more as I get the time. But then again the upcoming month will be busy as well. And taking a good amount of time, getting settled into my new apartment, where I will move the 1st September. Anyway, after all a few days of summer got here so I will go get some sun. Hope everybody out there are doing great. And as always a big thanks to the people supporting me!